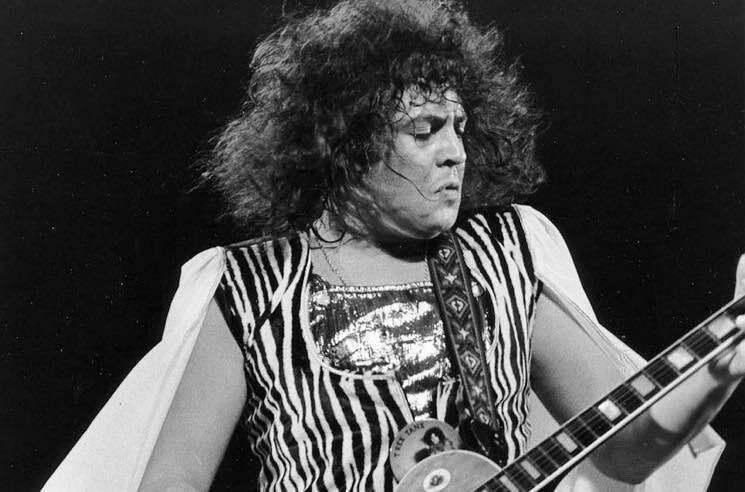 T. Rex is set to be honoured with a star-studded tribute album and documentary next year. According to Variety, Marc Bolan and co. will be toasted with a new compilation album featuring contributions from the likes of U2, Foo Fighters, Elton John, Joan Jett, Nick Cave, Perry Farrell, Soft Cell, Kesha and Børns. The set is reportedly being produced by Hal Willner, and while an official tracklisting has yet to be revealed, U2 are rumoured to be tackling T. Rex's biggest hit, "Bang a Gong (Get It On)." The album and film package is slated to arrive next year via BMG, though the company has yet to announce specific details or a release date. Hopefully the label got permission for the covers album; Sony was sued last year for failing to get the proper licence to use "Debora" in Baby Driver. Elton John Covers Khalid's "Young Dumb & Broke"
​Elton John Claims Toronto's Senator Diner Makes the "Best Burger in the World"
U2 Cancel Show Mid-Set When Bono Suffers "Complete Loss of Voice"